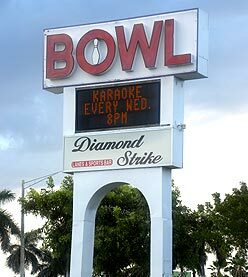 About Diamond Strike Lanes in Pompano Beach, Florida. RIPs Sports Bar and Grill. Join us for bowling fun! Thank You To All Our Loyal Customers, We Now Bring You.... New Lanes!!!!! Since 1958, Diamond Strike Lanes has been the #1 recreation facility in South Florida. 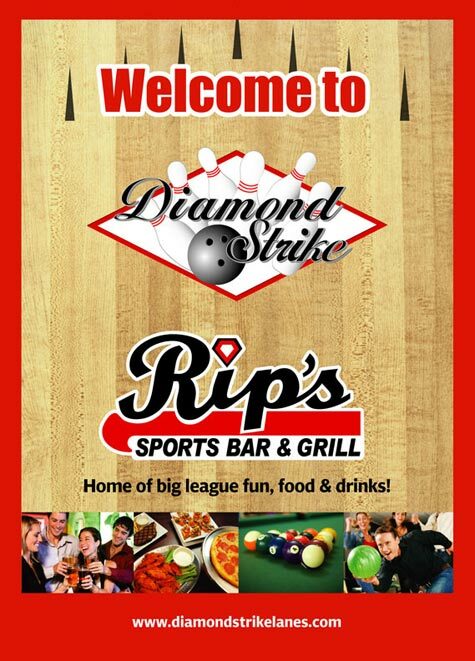 Located in Pompano Beach, Diamond Strike Lanes has 32 lanes of fun-filled enjoyment that also includes a dynamic Arcade area, Pro Shop, Sound and Light show, 8 huge screens on the lanes, a totally revamped RIPs Sports Bar Nightclub & Grill. Diamond Strike Lanes offers Rock & Bowl, best glow bowling in town Every Friday & Saturday with Special Effects, Music, Light Show, Bowling and Fun!!!. Check out our current events and future events. You will love our Video Jukebox with eight gigantic screens on the lanes and more than 30 other screens throughout the Diamond Strike Lanes facility. 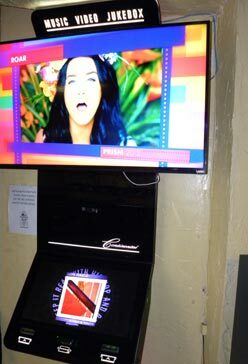 Our Video Jukebox features more than 10,000 selections to choose from! Bowl and dance the night away.